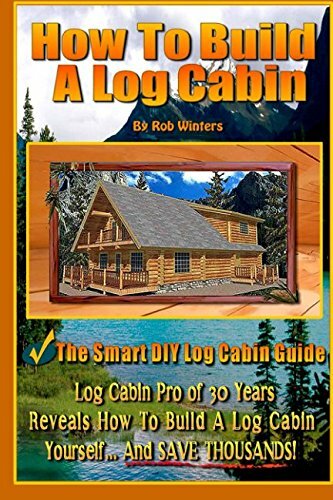 Home Rob Winters How To Build A Log Cabin: The Smart DIY Log Cabin Guide! How To Build A Log Cabin: The Smart DIY Log Cabin Guide! HOW TO BUILD A LOG CABIN is all about learning the exact methods of Log Cabin Building to do the work yourself and saving THOUSANDS OF DOLLARS in the process... A Log Cabin Builder Of Over 30 Years Reveals All Of His Best Secrets! ... One of the BEST Log Cabin Books to have! It covers The Best Log Cabin Design Techniques, Log Cabin Floor-plan selection, as well as a TON of little known resources for any Log Cabin DIY Project! Even if you do not want to Build your own Log Cabin... This Book will offer you a HUGE FREE resource... access to a Log Home Professional Via email during your building project. BONUS: UNLIMITED EMAIL SUPPORT!...Also Available in Paperback! DOWNLOAD This Valuable Log Cabin Resource NOW!